If your water heater stops working, it can cause many more problems than having to endure a quick, cold shower. Hot water is used for dozens of tasks around the house and is an essential component of modern homes. It’s used for cooking, relief, and perhaps most importantly–cleaning. After all, germs and harmful bacteria don’t seem to mind tepid, lukewarm water much! Often when your water heater stops working, your best course of action is to call a local plumber. But which one? 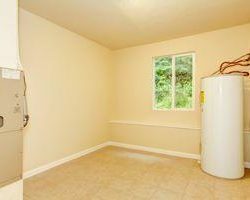 Try John’s Plumbing & Pumps, Inc. We do water heater repair in Tacoma and can also check the condition of the rest of your plumbing while we’re there if you’d like. Why did my hot water heater stop working? There are many reasons why water heaters stop functioning properly. Sometimes, it’s a gradual process and the amount of water will decrease slowly over time, and other times it stops working completely. If you have an electric water heater, check to see if it’s tripped the circuit breaker first. It may be the most common reason that you suddenly have no hot water, and it’s an easy fix! If none of the breakers have been tripped, it’s likely that your heating element failed and needs to be replaced by a plumber. For gas water heaters, check that the pilot light is lit. If not, you can try relighting it yourself—but only if you don’t smell gas. For water that comes out too hot or too cold, you may have a problem with your thermostat. If you manually change it for summer and winter, check that first. If not, it could be a faulty unit and you’ll need a new thermostat. Similarly, a thermostat problem could be the reason you don’t have enough hot water. Strange colored water often signifies that you have a problem with your pipe material. But it could also be a result of your water heater as well. This could mean that your water heater tank is starting to rust and corrode or buildup accumulated on the element. If your home is older, this could be caused by galvanized steel piping that can cause a plethora or problems! 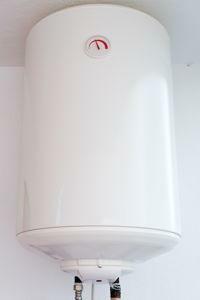 We do new water heater installations too! Sometimes a replacement is better! We’re familiar with installing conventional as well as tankless water heaters and can help you decide which is best for your usage. Choose us for water heater repairs in Tacoma and much more! With more than sixty years of experience working on plumbing in Tacoma, call us if your water heater goes out or if you have any other plumbing problem. Along with fixing water heaters, our plumbers can put in sinks and toilets, replace obsolete pipe systems, work on septic tanks, unclog toilets, clean drains, and much more! And when you choose to go with us, we’ll always be there at the appointed time or let you know if a plumbing emergency came up we had to address right away and reschedule a time that works for you. If you’d like to set up an appointment, call us now or fill out a contact form and explain the issue.